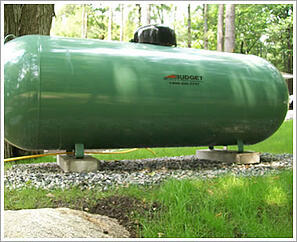 There are two types of Propane Tanks - Torpedo and Vertical. 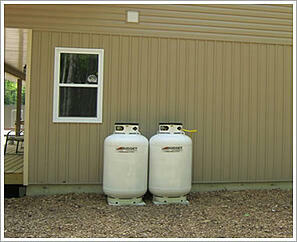 While both systems are efficient and reliable, the one you choose will depend on your application and propane usage. Torpedo Tanks are most often used for residential and commercial heating applications. 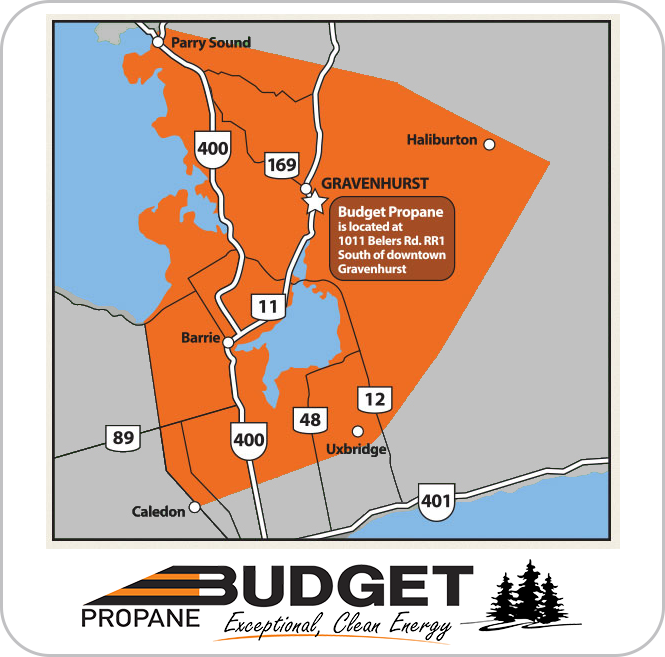 Torpedo Tanks can hold more propane than a Vertical Tank, ensuring reliable delivery of fuel throughout the colder months. Torpedo tanks come in two main sizes - 500 Gallon and 1000 Gallon. 500 Gallon Propane Tanks are good for residential and small commercial applications and must be installed at least 10' from buildings and property lines. They are aproximately 3'10" High, 9'10" Long and have a Diameter of 38". 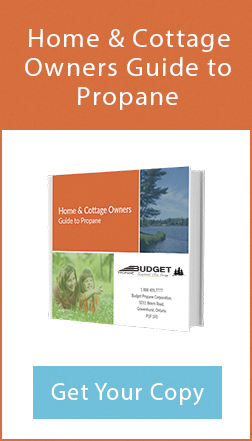 1000 Gallon Propane Tanks are more common in commercial and agricultural applications where large amounts of propane are consumer. These tanks must be installed 25' from buildings and 10' from property lines. They are aproximately 4'4" High, 15'11" Long and have a Diameter of 41". Vertical Propane Cylinders are a great choice for propane water heaters, fireplaces, pool heaters and other small appliances. They are most commoly used for residential applications. Vertical Tanks come in one size - 420 lb. They are approximately 52.5" High and have a 30" Diameter. Unlike Torpedo Tanks, Vertical Tanks can be installed against a building. If you require additional volume, but are unable to install a small 500 Gallon Torpedo Tank, you can connect up to four Vertical Tanks together.